The European Union’s chief negotiator Michel Barnier has said that the union is ready to offer the UK an “ambitious” free trade deal after Brexit. However, the sweetener comes with several significant strings attached. The Commission’s negotiator set out the main condition for the UK: it must respect European regulatory standards. There must be an orderly withdrawal from the EU, he said, respecting the integrity of the single market and establishing a “level playing field”. “There is every reason for our future partnership to be ambitious. This is our preferred option. This is why we have started internal preparations with member states to be ready, to talk about the future as soon as we will have agreed on how to settle the past. 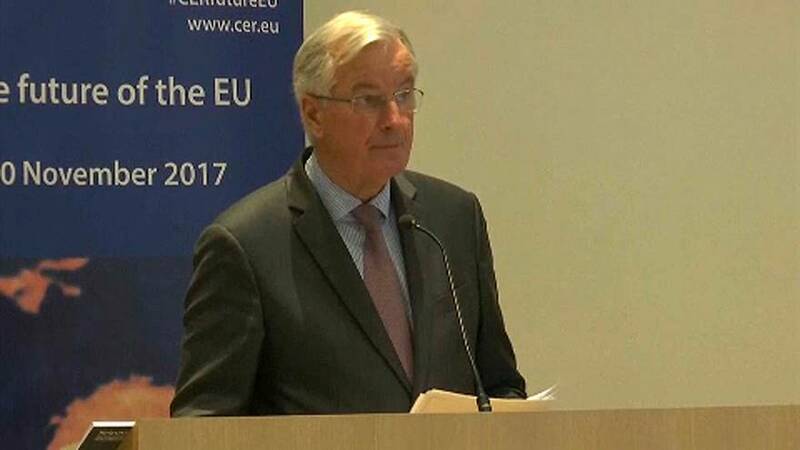 The EU will of course be ready to offer its most ambitious FTA (free trade agreement) approach,” Barnier said in a speech at “The future of the EU conference”. The Frenchman said that British banks will have to lose their “passport” rights to operate in the EU, if prevalent British voices on the matter have their way. Barnier also said the UK had to offer better ideas about how to avoid a hard border between Northern Ireland and the Republic. There was also a warning from the Commission’s negotiator that EU parliaments might block a Brexit trade deal if the UK decided to diverge too far from the European model, adding that the UK had to decide what it wanted. “The UK has chosen to leave the EU. We respect this choice. Does it want to stay close to the European model? Or does it want to gradually move away from it? And the UK’s reply to these questions will be very important, and even decisive, because it will shape the discussion on our future relationship,” the EU’s chief negotiator said. This puts the finger on a key dilemma for the UK – whether to stay close to EU rules to maximise access to European markets, or to float free from EU rules and risk having such access severely restricted. Whereas the UK’s finance minister Philip Hammond is known to favour the former, Brexiteer ministers Boris Johnson and Michael Gove have written a letter to Theresa May calling for “a wide degree of regulatory freedom”. The British prime minister is chairing a crucial meeting of her inner cabinet on Monday to decide on future Brexit strategy. On Friday EU leaders including European Council Donald Tusk repeated calls for the UK to do more to meet demands over the Brexit financial settlement – one of the key priority issues the EU says must be resolved before talks can move onto trade – at the same time telling euronews that there was “no deadlock” in the negotiations and he felt “much better” having held a meeting with May at an EU summit in Gothenburg. Brutal. MichelBarnier opened his #CERFutureEU speech by using the UK government's own slide, from a presentation 5 years ago, showing that only through the EU can the UK remain at the top table for global influence.